Valerian is the shocking disappointment of the summer, a surprisingly crappy sci-fi flick that looked to be anything but. The trailers, the hype, the background, the visuals; audiences were preparing themselves to be blown away by this piggybacker to the immense GotG success, and we weren't even concerned that it looked to be somewhat of a copy. We wanted this movie to be a success, that might be the hardest part to accept, and even understanding that high expectations sometime lead to unattainable goals, Valerian should have been better than it turned out to be. With so many other strong, summer options out there (Spider-Man, Planet of the Apes), this film can be pushed way down your list, and left there for some time. Major Valerian and Sergeant Laureline, the two top human government agents in the universe, the heroes of countless missions, the team who always gets the job done. On their latest assignment through space, the duo are tasked with retrieving a creature that can duplicate anything that is put into its mouth. Such a creature is extremely valuable, this one especially so, as it appears to be the last of its kind, the lone survivor of a utopian planet that was destroyed in a battle many years before. But Valerian and Laureline soon discover that they aren't the only ones who want the creature, that the doomed planet may have had other inhabitants, and that these beings might have come to the star base Alpha for their final revenge. So much to criticize, so little time; such is the life of a grumpy film critic. I joke, because I really don't like to think of myself as someone who is looking to tear movies to shreds; I want to enjoy them just as much as any other audience member. So I guess I'll start with the positives, and there are definitely a few that could be seen as a saving grace. Mainly, the visuals are spectacular. Like Fifth Element mixed with Guardians, this is a movie that's fun to see; the planets, the aliens, the weapons, the ecosystems, the gadgets, the unique characters. Luc Besson has a vision, that vision combines well with comic books, and the result is great imagination teamed up with some really cool scenes. But that's basically it, the rest plays out like a very bad, very old Star Trek episode. The first mistake was assuming we knew the back story, assuming we were coming in ready for another adventure with the hero we already loved. That's how it felt, like we were dumped into Valerian's world, his antics, his love affairs, with the assumption that we had been prepped for the mission. Most of us had not, this is an obscure story for the majority, and so we were not on board before the flight took off. And that's not the end of the problems, the list goes on. I love Dane DeHaan, absolutely think he's incredible, but he was not on his game in this film. His chemistry with Cara Delevigne was horrendous, as was her acting. Actually, everyone sucked: Clive Owen, Ethan Hawke, Rutger Hauer, Herbie Hancock. And Rihanna should get a Razzie for her effort; it was basically pathetic. No one was aided by the dialogue, which was laughable, and the poor script led to bad pace, bad flow, and bad atmosphere. The mark could not have been more missed, and the result was that Valerian exploded right after takeoff instead of taking us to the beautiful place we had all bought tickets for. 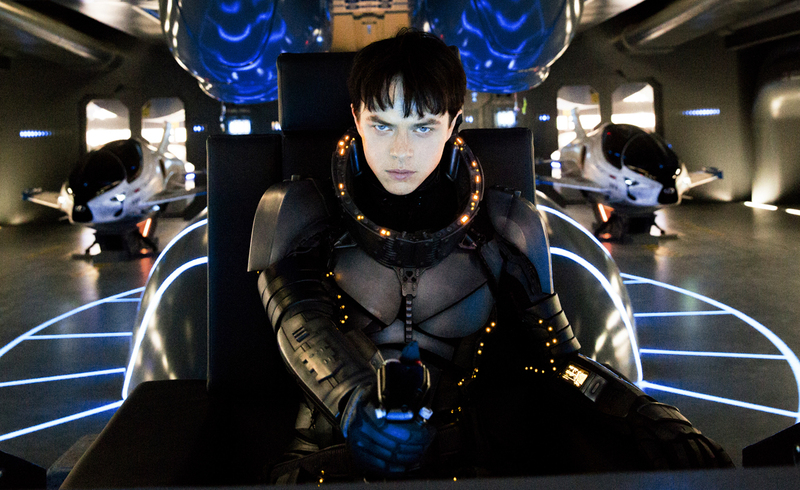 Order "Valerian and the City of a Thousand Planets" now!